I suspect the trustee of a California trust is abusing trust funds. Which option should I pursue for protection? Understanding what the right step is when you suspect trustee wrongdoing requires the guidance of an experienced San Diego probate court attorney. 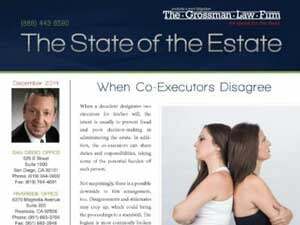 Trust litigation often can take several months, even years. When you are concerned that trust assets are being abused, it is therefore vital that you act quickly. When a trustee prepares a trust accounting, beneficiaries can contest the information contained. If the trustee reacts unreasonably, he may face penalties. 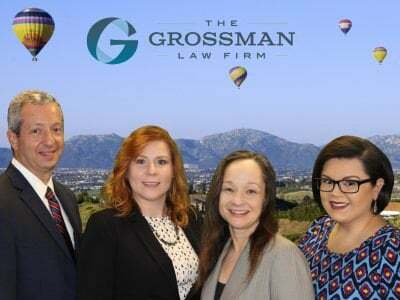 If a de facto trustee in California takes a trustee’s fee from a trust, does it violate California trust law? 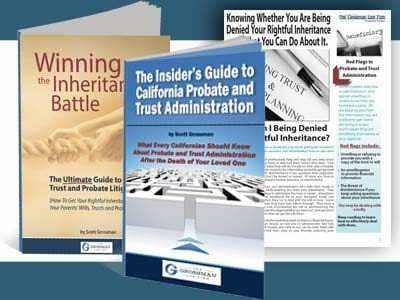 Whether or not a person rightfully took trustee’s fees from a California trust depends on the terms of the trust instrument and whether or not the person was a named trustee in the document, a de facto trustee, or a trustee de son tort. The trustee of a special needs trust must be careful when making distributions. If not, the beneficiary’s ability to receive benefits could be impacted. As the successor trustee of a trust, it is your responsibility to maintain the trust’s inventory list. This list must be kept up-to-date.